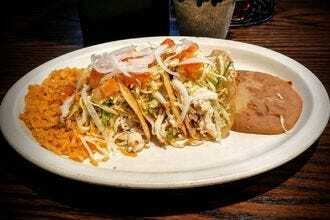 Tex-Mex has gained popularity throughout the world as the ultimate comfort food, and its origins are as diverse as the dishes you might find on a typical menu. Ingredients like cumin and wheat flour were introduced by the Spanish long before the birth of the Lone Star State and began to find their way into Tejano home cooking. 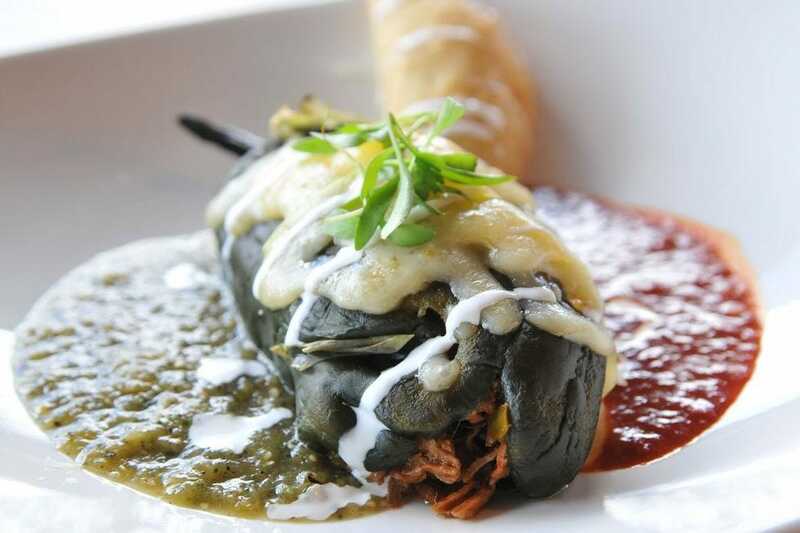 During the 1880s, the "chili queens" of San Antonio began slinging tamales and chili con carne in plazas to the hungry masses and famous figures from around the country; for some this was their first taste of spicy food. By 1900, the combo plate was born at The Original Mexican Food Restaurant in San Antonio, adding the classic sides of rice and beans that are now a fundamental component of the Tex-Mex lexicon. The trend spread. 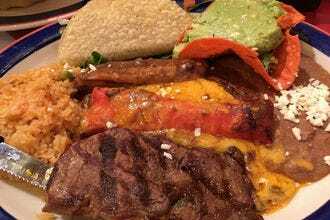 Today, Tex-Mex is characterized by big portions and heavy use of cumin, cheese, pork, beef and spices, whether it be in the form of fajitas, enchiladas, nachos, breakfast tacos or chili con queso. L&J Cafe, originally called Tony's Place, opened for business near the Texas-Mexico border in 1927. The fourth generation now runs the restaurant, known for dishes like chile con queso with green chile strips, chicken and beef fajitas and shredded beef tacos. 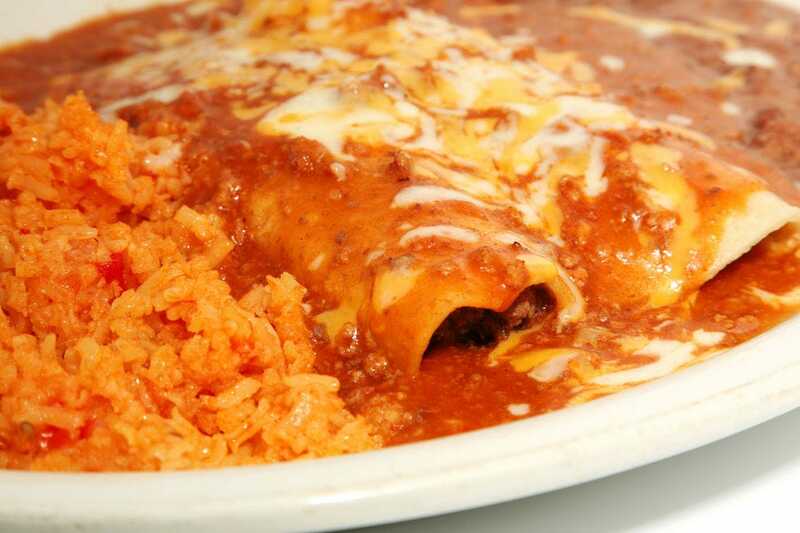 Opened in 1952, Matt's El Rancho is one of Austin's oldest Tex-Mex restaurants. Diners in the know kick things off with the Bob Armstrong Dip, made with melted cheese, seasoned beef and guacamole. Sizzling fajitas are always a favorite, while the No. 1 Dinner satisfies big appetites with a beef taco, beef enchilada, pork tamale, Spanish rice and refried beans. Joe T. Garcia's Mexican Restaurant has been a Fort Worth institution since it first opened its doors in 1935. 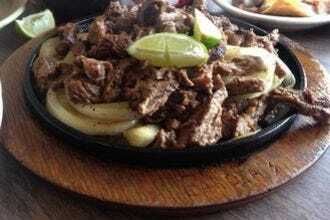 Today, diners still enjoy Tex-Mex classics, like beef tenderloin fajitas, chile con queso and fresh-made guacamole. 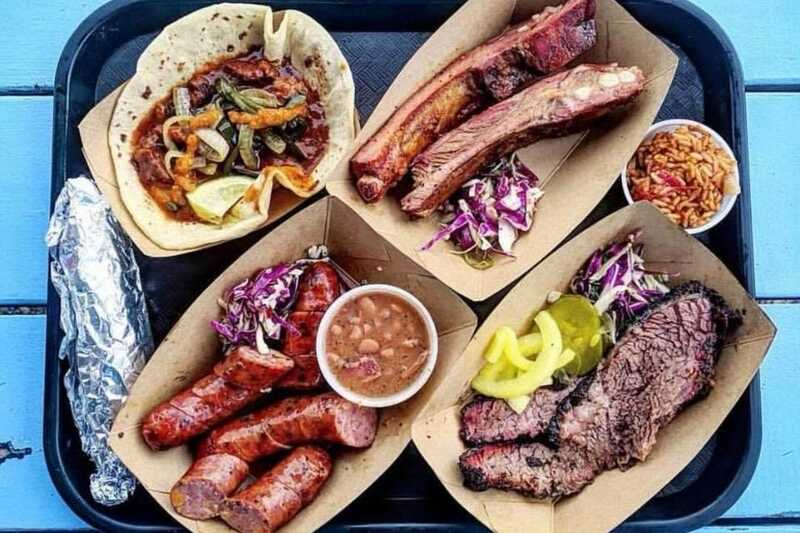 Valentina's Tex Mex BBQ in Austin has combined two Texas favorites, Mexican food and barbecue. The Tex-Mex menu features dishes like cerveza beef fajitas with tomato serrano salsa and sea salt lime guacamole, or smoked carnitas with caramelized onions and tomatillo habanero salsa. Smoked corn and red potato salad are just as welcome as charro beans and Mexican rice on the side. 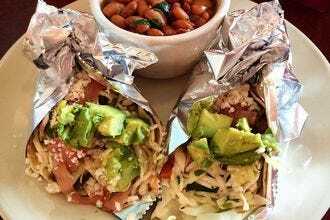 Local favorite Rosario’s has enjoyed fame far beyond San Antonio in recent years, thanks in large part to its contemporary Tex-Mex menus. 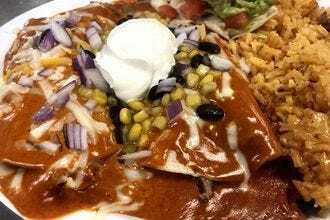 Nachos come in several varieties, and the excellent cheese enchiladas come in traditional Texas fashion with chile con carne and cheese. Diners are never lacking for choice when browsing the sizable menu at El Manantial Restaurant in Amarillo. Kick off the day with a breakfast of migas or chilequiles, and at lunch or dinner, go for the barbacoa tacos or homemade enchiladas. It's hard to go wrong. 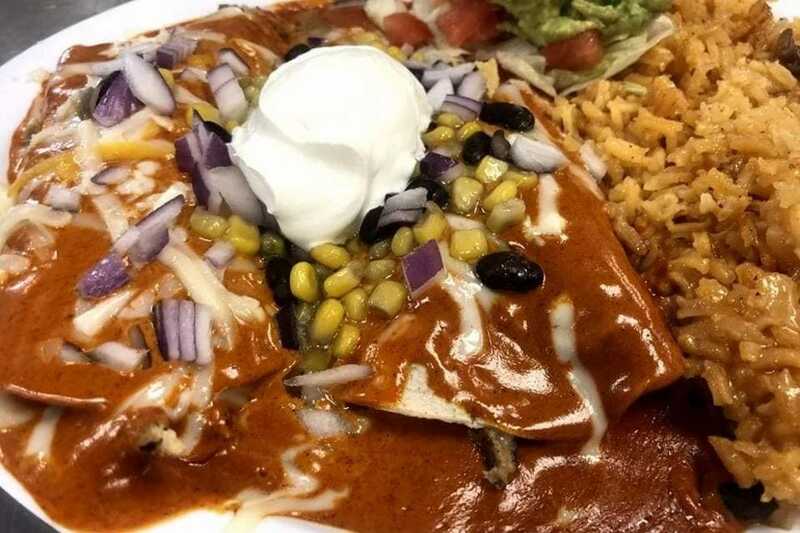 The kitchen at Enchiladas Ole in Fort Worth uses no additives, preservatives or lard in preparing their Tex-Mex menu, which includes half a dozen types of enchiladas, including the Texican with smoked brisket, cheddar cheese and ancho chili sauce. The Garcia family has been serving Tex-Mex to hungry San Antonio diners for half a century. The brisket nachos are a highlight, as is the tender and spicy chile verde. The place is small but well worth the wait. 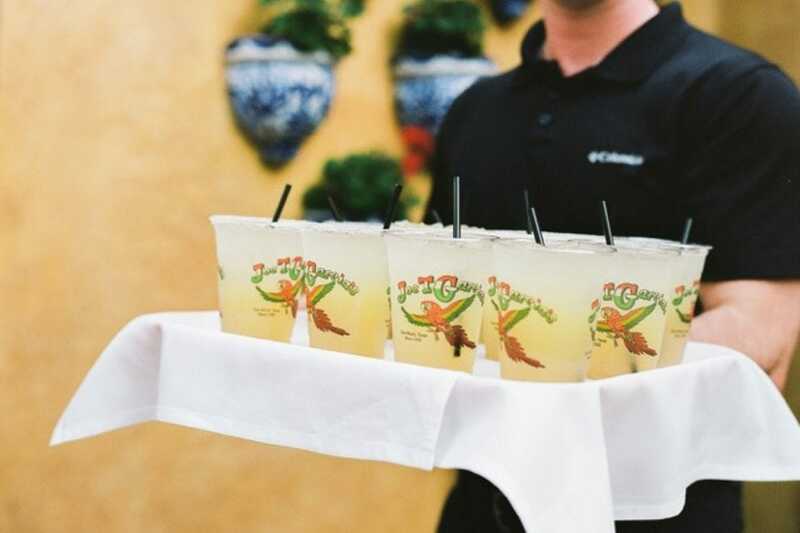 Located in San Antonio's vibrant Market Square, Mi Tierra Cafe y Panaderia is known for its 24/7 Mexican and Tex-Mex specialties, including fajita tacos, bean and cheese nachos, cheese enchiladas and excellent margaritas. 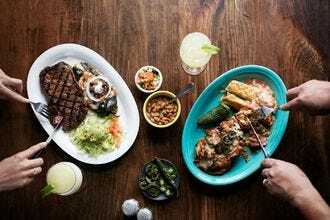 Traditional Tex-Mex flavors and Mexico City recipes make for a happy marriage on the menu of Mi Dia From Scratch in Grapevine. 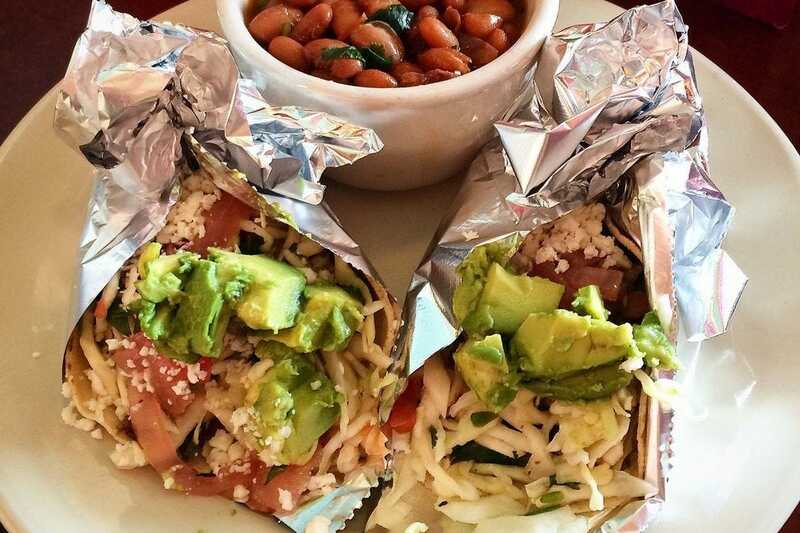 Options include chipotle bacon quesadillas, fajita nachos, tableside guacamole and a range of Tex-Mex combos served with guajillo rice and refried beans. A panel of experts partnered with 10Best editors to picked the initial 20 nominees, and the top 10 winners were determined by popular vote. Experts Cynthia J. Drake, Jessica Dupuy, Michael Hiller (EscapeHatchDallas.com), Ilene Jacobs (10Best), Susan Lanier-Graham (WanderWithWonder.com), June Naylor and David & Rebekah Schroeder (From Texas to Beyond) were chosen based on their knowledge and experience of the state's food scene. 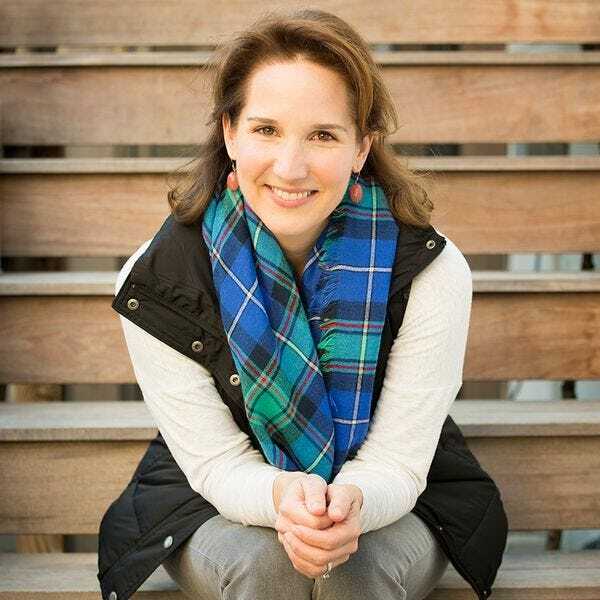 Cynthia J. Drake is an Austin-based freelance travel and food writer for Texas Highways, Texas Journey, Family Vacation Critic and others, and she is the author of Budget Travel for the Genius. Read up on her latest adventures on her website, or follow her on Facebook, Instagram and Twitter. Jessica Dupuy is a freelance writer who keeps a pulse on food, drink and travel. 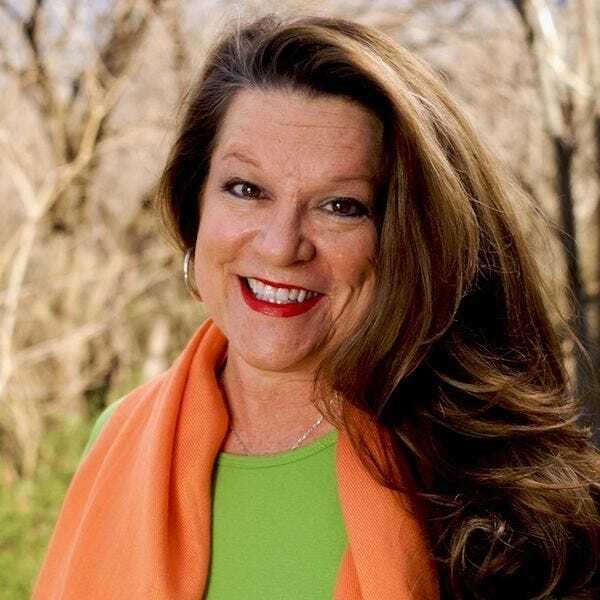 Her writing credits include work for National Geographic Traveler, Imbibe, Texas Monthly, Wine Enthusiast, Texas Highways, Fodor’s Travel Publications and numerous local and online publications. She has also written Uchi: The Cookbook, in conjunction with James Beard Award winning Executive Chef Tyson Cole; The Salt Lick Cookbook: A Story of Land, Family and Love on the iconic Texas barbecue restaurant; and the Jack Allen's Cookbook on the famed Austin farm-to-table Texas home-cooking restaurant. She recently completed her fourth book on Texas Cuisine for Southern Living entitled The United Tastes of Texas. 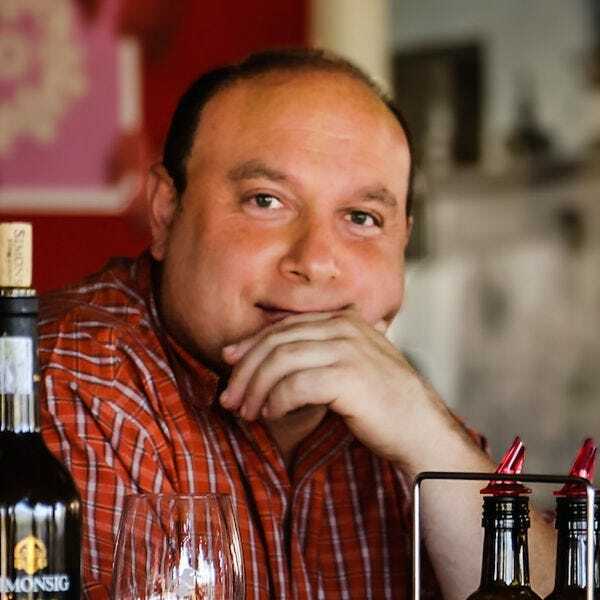 Dallas-based journalist Michael Hiller writes about food, wine, chefs, restaurants, hotels and resorts for more than a dozen publications including the Dallas Morning News, 360 West Magazine and USA TODAY Eats. He is the founder and editor of EscapeHatchDallas.com, the city’s top food and restaurant website. Follow him on Instagram and on Twitter. As a perpetual wanderer, foodie freak and wannabe chef, Ilene is always on the lookout for the best places to see, eat, drink and sleep. When she's not writing about the latest happenings in her hometown of Dallas, she's hanging out in Paris and road tripping around Europe. You can find Ilene's articles about her favorite hot spots and foodie finds at 10Best.com, CBSDFW.com and in TravelAge West magazine. You can also follow Ilene on Instagram, Twitter and Pinterest. Susan Lanier-Graham, founder and editor-in-chief of WanderWithWonder.com, has been writing about luxury food, wine and travel destinations for more than two decades. She has authored more than 75 books and hundreds of magazine articles. 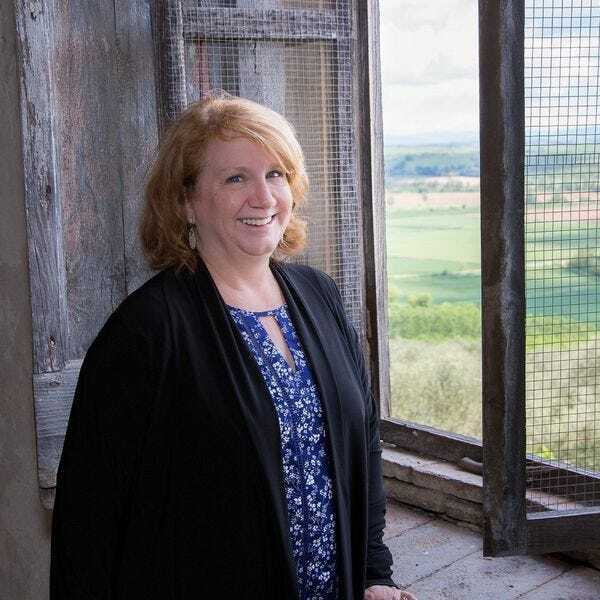 Susan is an award-winning travel writer, a member of North America Travel Journalists Association (NATJA), Society of American Travel Writers (SATW), International Food, Wine & Travel Writers Association (IFWTWA), and is a Certified California Wine Appellation Specialist (CWAS). Susan has been an official ambassador for Travelocity, offering tips and inspiration to fellow travel enthusiasts, and is currently an ambassador for Rocky Mountaineer where she takes readers along on journeys of a lifetime through the Canadian Rockies. Susan’s work regularly appears in Where Arizona, AAA Highroads, AAA EnCompasse,AAA Via, So Scottsdale, Uptown, AAA Home & Away, Green Living AZ, Life Refined, Modern Luxury, Fairmont.com and more. 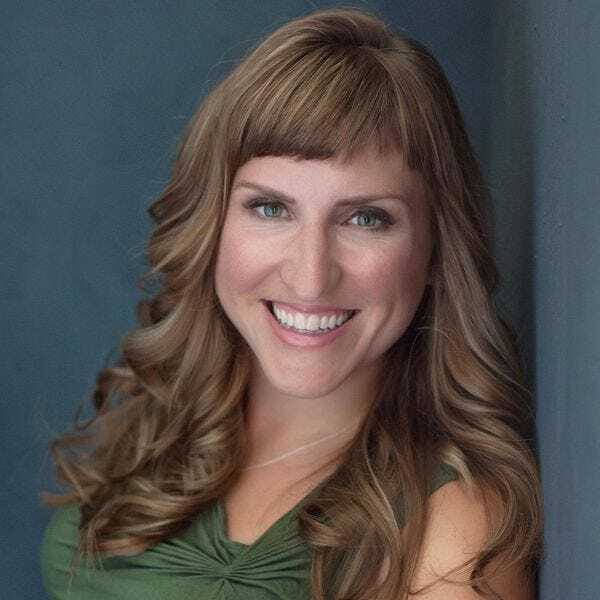 She writes for Experience Scottsdale and is the editor of Grapevine Today, the visitors guide for Grapevine, TX. Food/travel writer and cookbook author June Naylor is a sixth-generation Texan whose proficiency in speaking kitchen Spanish has been enhanced by a lifetime of eating combination plates (those originated in Dallas at El Fenix, by the way). She lives in Fort Worth but roams Texas in search of perfect enchiladas en salsa verde and tacos al pastor. From Texas to Beyond is dedicated to learning about the world and the people around us. 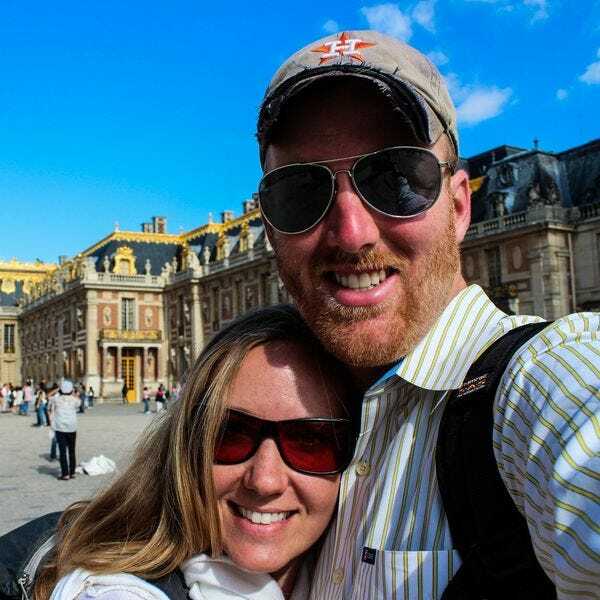 From the great state of Texas, David, Rebekah and Isaac hope to introduce travelers to their home state and journeys exploring the wider world. Whether they're traveling across their city, state, country or world, there is always something new to learn. Follow their adventures on Instagram, Facebook and Twitter!